It’s been seven years now, and the stock market is at an all time record high, employment numbers are looking very positive with the jobless rate at 6.1%, interest rates are low and real estate is booming. With all this positive economic news, I thought this would be a great time to run the survey again asking women the same question. The overwhelming challenge facing women today is still money 38%, followed by “Not knowing where to start” or Clarity. Still #1 was “money” or Finances, which was up by 6%. Knowing where to start or “Clarity” was still second again with a 2% increase. Time jumped to 3rd place with a 6% increase. “What’s the single biggest challenge holding you back from living your Perfect Life? So why is this and what are these results telling us? Since the 2008 crash, I have interviewed and coached hundreds of women and what I have found is that many women have lost their jobs and had to reinvent themselves searching for new employment or even started their own businesses. Many have run up debt, or had to dip into their savings (including their retirement plans which had already plummeted after the stock market crash). So even with record unemployment, the stock market is at record highs and the recovery in the real estate markets, many women are not reaping the benefits of these improvements. In fact, the latest national survey by the Pew Research Center, conducted September 4-8, 2013 among 1,506 adults, finds that 54% say household incomes have “hardly recovered at all” from the recession. I have ideas for starting a business, but I’m not sure how to start. I feel so busy trying to earn a living I don’t have time to make a life. I understand you are supposed to do what you are passionate about, but I need help figuring out what I’m passionate about. I am receiving a pension and still working. Health Care deductibles are too high. How to make a new business start while managing the rest of my life? The vision is there, but time continues to slip while trying to keep many balls in the air. Everything seems to be in my way. How can I start sorting it all? Even with the biggest challenge being “Finances“, I see money issues as simply a symptom of all the other challenges, starting with Clarity. In his book, The Seven Habit of Highly Effective People, Steven Covey says to “start with the end in mind”. Having Clarity includes knowing what you want, why it’s important to you, who you are at the soul level, your strengths, weaknesses, values, where you stand financially and of course having a clear PLAN and the SUPPORT. You will also need to commit the TIME to do the work and heal past experiences, and then release the SELF DOUBT that will come up and zap your CONFIDENCE. On the surface, this can all look very daunting and overwhelming. It will take time, work and finding someone who has done the work themselves to lead the way. 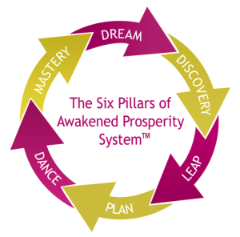 This is why I created my Six Pillars of Awakened Prosperity System. The program is the result of my life’s work and it is the system I have used personally time and time again to move from challenge to success. I promise, when you follow the process will work for you too. I had the pleasure last March of taking 10 women through this program in Costa Rica at our Create Your Perfect Life Retreat. Not only did we go through the program together in Costa Rica, but when the women returned home, they asked to meet together again. In June, during the Summer Solstice, we even meet again, this time at my lake home in Michigan for 4 days. I was excited to see how everyone had experienced breakthroughs during those 90 days while working through the process. With our busy life and juggling so many roles, how do we as women make the time to this type of work? Well, you don’t have to leave the country. Look around; there are many books, online communities, and programs. Many of them are free like Smart Women’s Empowerment. Find one that resonates with you, show up, do the work and get support. Find a mentor or a guide who has been where you want to go and follow them. 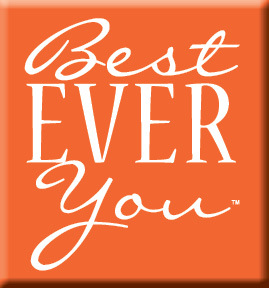 It takes 10 years or 10,000 hours to become an expert in your field – so shorten this journey with a guide. This could be a program, or even a book. Identify your tribe and surround yourself with people who love and support you and who will hold you accountable to your dream. Don’t do it alone. Learn how to manage your energy and mindset. So often we give up just before we reach success, or because of limiting beliefs or because we need to the tools to keep us inspired and able to finish what we start.